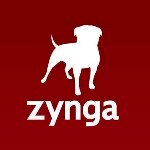 While everyone waits to buy the Facebook IPO, Zynga, Inc. (NASDAQ: ZNGA), developer of online games for Facebook such as Mafia Wars, Cityville and Farmville, is a good stock to buy now after the company beat Wall Street analysts expectations in its very first quarterly earnings report since becoming a public company. ZNGA closed yesterday at $14.352. For the quarter ending Dec. 31,2011, ZNGA reported Revenue of $311.2 million, non-GAAP earnings of $37.2 million, or $0.05 per common stock. Wall Street analysts were expecting profit of only 3 cents per share of common stock on revenue of $301.1 million, 10 million less than ZNGA reported. ZNGA projects non-GAAP earnings of $0.24 to $0.28 per share of common stock for fiscal 2012, above the current consensus of $0.22 per share of common stock. Is Facebook (FB) Making a Run to Buy Atrinsic (ATRN) Stock? Is Facebook Getting Your IPO Money or Is It For The Birds?